Isiah Factor | The Insite » DO YOU WANT YOUR OWN ETHNIC WALMART? DO YOU WANT YOUR OWN ETHNIC WALMART? April 30, 2009 | Posted in Uncategorized | Comments Off on DO YOU WANT YOUR OWN ETHNIC WALMART? I was kind of surprised when Walmart opened a store here in Houston that caters specifically to one ethnic group. I was shocked more people weren’t up in arms or demanding their own specialized Walmart. On Wednesday the retail giant opened a store that’s designed for those in the Hispanic community. Is this a good or dangerous trend the Arkansas based company is undertaking? The Insite would like hear what you think about Mercado! 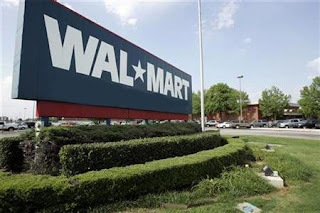 More about the Walmart venture: With an estimated 14 percent of its U.S. shoppers being Latino, Wal-Mart in recent years has been tailoring stores, such as its I-30 and Cockrell Hill location in Dallas, to meet the needs of Hispanic families. It has added specialty bakery items, expanded varieties of chile peppers, printed store signs and advertising circulars in Spanish and last year stocked baby Abuelita dolls for Three Kings Day celebrations. But the new Garland store at 1801 Marketplace Drive is the first designed from the ground up to meet the needs of Hispanic shoppers, said Daniel Morales, regional spokesman for Wal-Mart.